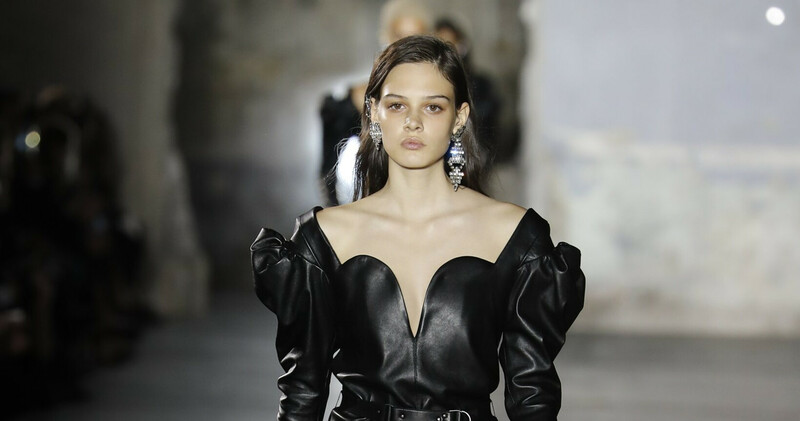 For his Spring Summer 2017 collection, Anthony Vaccarello has let himself get carried away by the images of the designer, like ashbacks, snapshots. In his mind, the picture of Paloma Picasso landing in the life of the couturier, with her 1940s’ second-hand clothes and her very own style. She inspired the 1972 “Scandal” collection which was irreverent and disturbing to the eyes of society. There is a second degree in this collection, a collection within the collection of what Mr. Saint Laurent loved above all: twisting bourgeois conventions and irting with bad taste.